Musical Fidelity | Come & See Us At Sound & Vision - The Bristol Show! Come & See Us At Sound & Vision - The Bristol Show! We're proud to be exhibiting at this month's Sound & Vision - The Bristol Show from 23rd to 25th February. As a regulary exhibitor at this hugely popular show we're looking forward to showing off the latest Musical Fidelity products in our exhibit room no. 312. 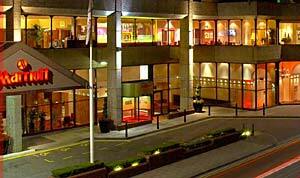 The show runs from Friday 23rd to Sunday 25th of February and its location, as in previous years, is the Marriot Hotel, Lower Castle Street Bristol BS1 3AD. Advance tickets can be puchased from the Bristol Show website.